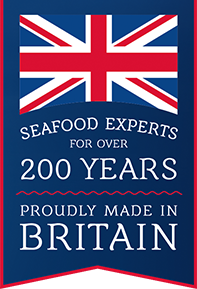 Young’s Seafood Returns to Farmwise Devon To Educate Children On Sustainable Seafood! Young’s Seafood supported Farmwise Devon for the second consecutive year at their event last month. The event, which is designed to educate primary school children about the benefits of sustainable seafood in a fun and digestible way, now engages with over 18,000 children. Young’s are enthusiastic to attend events such as Farmwise Devon to inspire and educate young children to experiment with seafood. On the day, Young’s Foodservice provided students an insight into the seafood industry, highlighting the importance of protecting the marine environment by employing sustainable practices from the outset, the different fish species available and the health benefits of eating fish. The students were also tasked to create their own fishcakes using a variety of ingredients. Using mixtures of fish, potato, herbs and spices the students then dipped their creations in egg and flour ready for the oven. Joined by Young’s Foodservice Development Chef, Joel Carr, the students also enjoyed taste tasting Young’s new Cod & Parsley Mini Fishcakes, coated in a sunflower seeded crumb. “We were delighted to return to Farmwise Devon for the second year in a row. It’s an honour to be part of an event that shares our passion for closing the knowledge gap between the food on our plates and its origins. Farmwise provides school children with a fun, educational experience that encourages them to be enthusiastic about learning!